Ninety-nine percent of the enterprise workforce currently uses mobile devices – smart phones and tablets – to perform their jobs today. Nearly 60 percent of security leaders describe their organizations as either partially or fully mobile, deriving enhanced productivity and other business benefits. 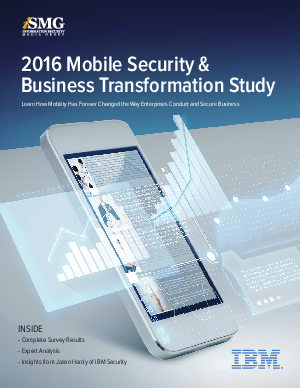 Reflecting on the survey results provides the opportunity to take a broad view of enterprise mobility and realize how business transformation has begun. Nearly all enterprises now incorporate mobility in their work, and a majority now sees tangible business results from mobility. Organizations are seeing greater efficiencies and productivity from mobile workers.